Terry D. Ragsdale has practiced law with GableGotwals since 1992, but his roots in the energy business date back to the 1980s, when he worked for several years as a petroleum engineer. Terry’s practice involves the representation of energy companies — such as oil and gas producers, pipelines, purchasers, and electric and natural gas utilities — in a variety of significant litigation and transactional matters. He has led several energy litigation teams, including complex contract cases and royalty owner class actions. Terry has published numerous articles relating to the energy industry in publications such as the Tulsa Law Journal, the Public Land and Resources Law Digest, and the Newsletter of the Committee on Energy Litigation for the American Bar Association’s Section of Litigation. Terry’s speaking engagements include presentations at the Eugene Kuntz Conference on Natural Resources Law and Policy and Center for American and International Law’s Annual Oil and Gas Law Conference. Terry and Tammy Barrett are co-authors of a chapter in the internationally prestigious Energy Law and Transactions Treatise. Terry is admitted to practice in the states of Oklahoma and Texas, as well as the United States Circuit Court of Appeals for the Tenth Circuit and the United States District Courts for the Eastern, Northern, and Western Districts of Oklahoma. 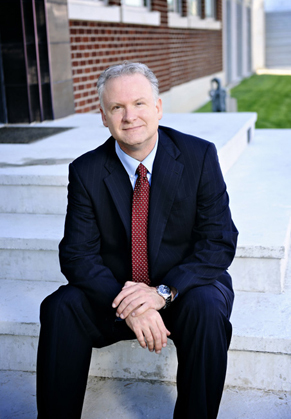 Terry is a member of the American, Oklahoma, and Tulsa County Bar Associations. Among his community activities, Terry was a founding director of the Berryhill Education Foundation, and he served as President of the Petroleum Club of Tulsa. Obtained summary judgment for a third-party defendant in a class action involving indemnification claims exceeding $100 million and facilitated the assignment of oil and gas properties worth nearly $1 billion pursuant to a mandatory injunction obtained by the Firm.